In this book, J.H. 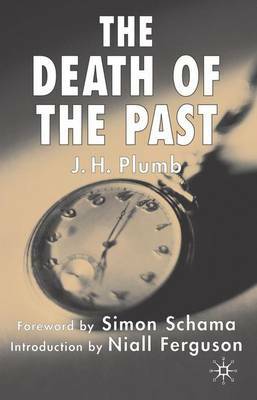 Plumb investigates the way that humankind has, since the beginning of recorded time, moulded the past to give sanction to their institutions of government, their social structure and morality. The past has also been called upon to explain the nature of our destiny in order both to strengthen the objectives of society and to reconcile us to our lot. J.H. Plumb questions this sanction of the past, the force that it has on our sense of destiny and its relevance to our own times. This classic text is now reissued with a new introduction by Niall Ferguson, placing it within a contemporary context, and with a new foreword by the eminent historian Simon Schama, a former student of J.H.Plumb himself.